When it comes to winter dressing, putting together a business-casual outfit that is both appropriately warm and polished has its challenges. But just like any other work-related project, getting dressed for the office is all about how you approach it. Comfortable layers, fuss-free details, and eye-catching finishes are what you want to rely on. 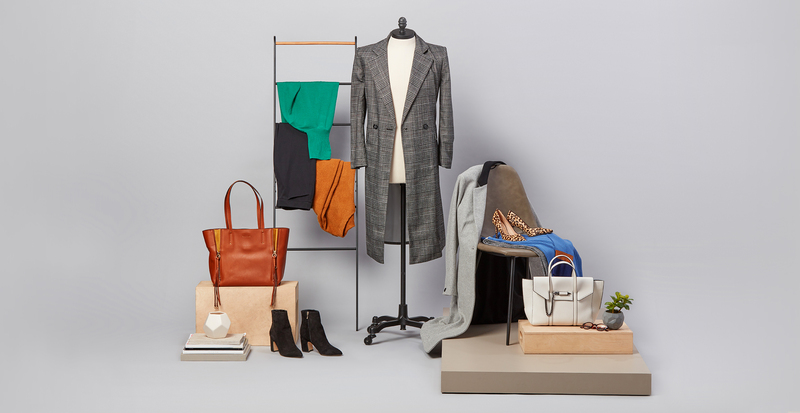 To help set you up for further success, we enlisted the help of one of our expert stylists, Elise, who is sharing exactly how to look sharp and stay cozy. Whether you’re traveling by train or car, you’ll want to opt for streamlined pieces that ensure ease. Just remember, comfortable doesn’t have to be boring. A boldly colored turtleneck is great for packing a visual punch, especially when worn with classic black ankle-length trousers. 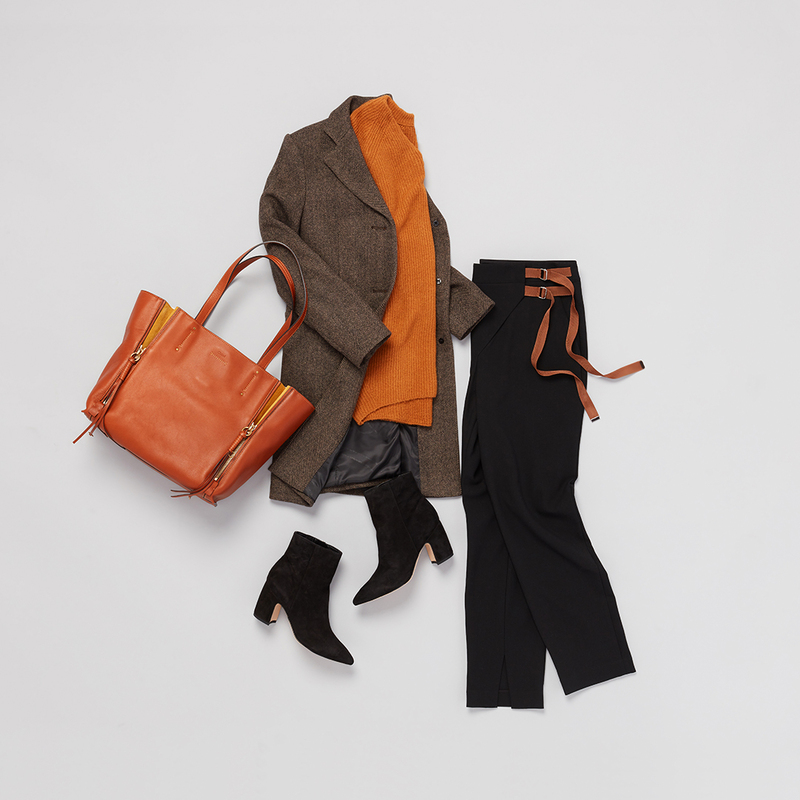 To take the outfit a step further, Elise suggests mixing prints with your coat and shoes. The great thing about this is that even if your workplace teeters on the more conservative side, you’ll be taking off your coat indoors so it won’t feel too over the top. Can you ever go wrong with a classic pair of plaid pants and a silk blouse? The answer is no—especially when worn with neutral pumps. 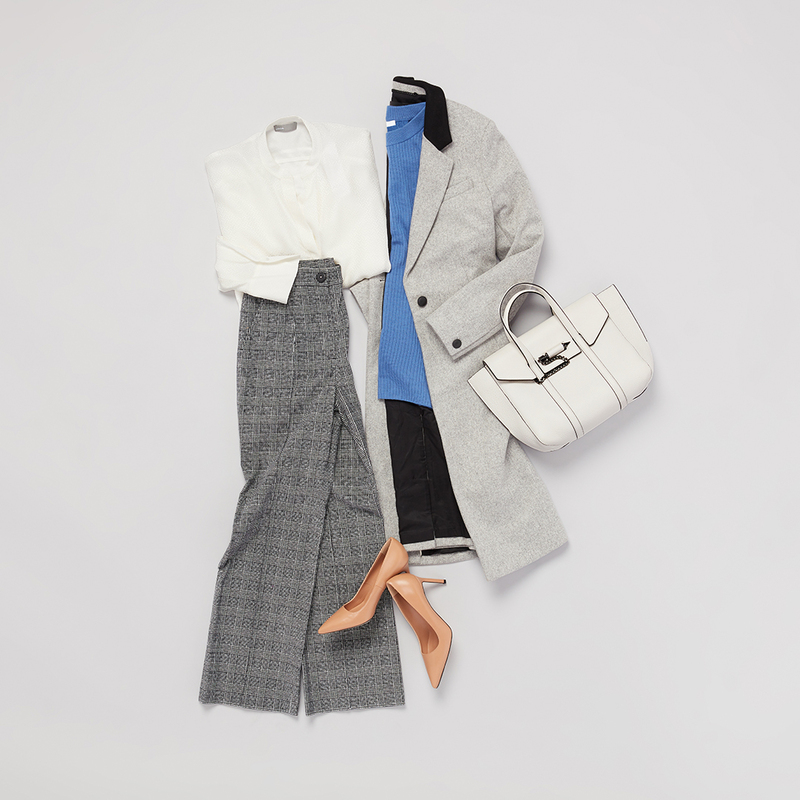 Composed of versatile pieces that can be mixed and matched, this outfit formula works for any day of the week. If you’re looking to give your classic ensemble a modern update, a little color goes a long way. “Add a pop of color to your neutrals to instantly liven up the entire look,” Elise says. We love a break from the usual dress code because it’s the perfect opportunity to let your outfit reflect your personality. For her take on a laid-back office look, Elise suggests going with trendy basics. “Start by swapping out your layers with an oversized sweater instead,” she says. When worn with stretchy skinny pants you have an outfit that feels like loungewear while still being completely office appropriate. A pair of heeled booties rounds out the look and can even be worn from desk to dinner.